Lymans Bag Jack is designed to make it easy to adjust the elevation of your rifle and bring it into line with your target while also allowing you to maintain a comfortable shooting position. It corrects the height with a simple turn of the adjustment knob. 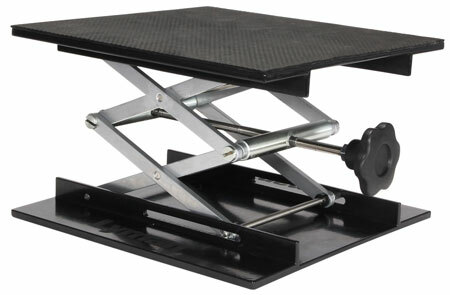 The lift is made from sturdy aluminum and steel components and has a nonslip textured platform. It is 10 x 10" so it can accommodate the largest size rests and collapses for unmatched portability."